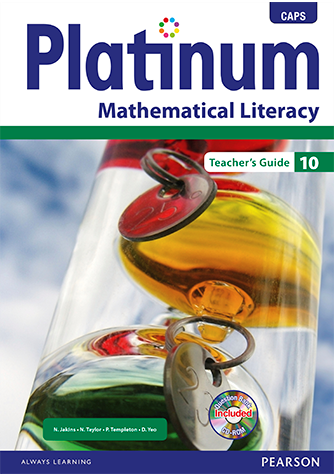 What makes Platinum Mathematical Literacy unique? Its superior quality will guarantee exam success! 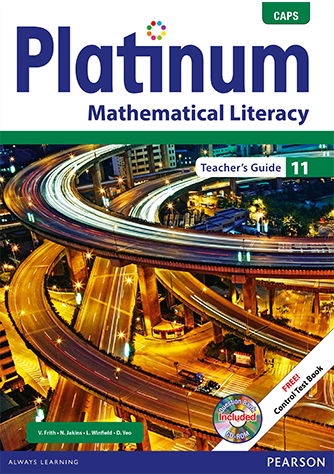 It is the number one choice of textbook for Mathematical Literacy teachers. Learners are given the opportunity to practice each new skill that is prescribed by CAPS through the focus pages that cover process skills. 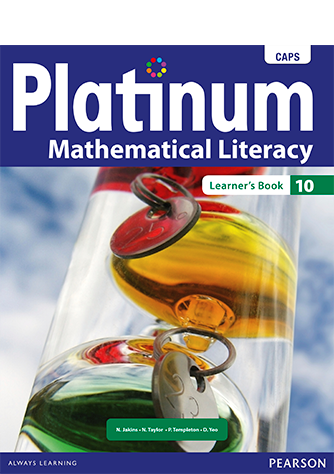 The authors are experts in Mathematical Literacy education and they have taken care to expertly cover all aspects of the CAPS curriculum. Chapters and units structure the content into manageable lengths according to CAPS. A clear, structured approach to Mathematical Literacy concept development enhances understanding. 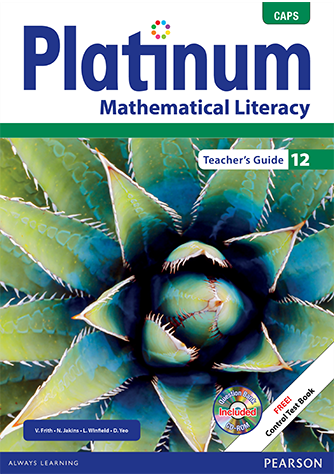 Difficult and new words are defined to build the learners’ Mathematical Literacy vocabulary. At the end of each unit there also is a Key Concepts paragraph as well as topic revisions to strengthen the learner’s grasp of new concepts. 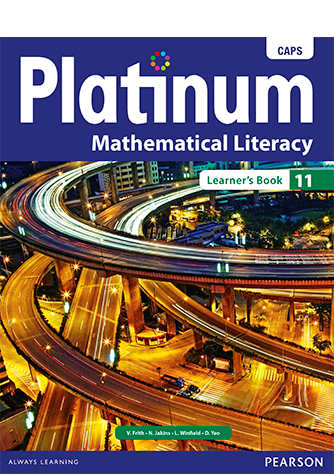 The Platinum Mathematics Literacy Learner Book has superior illustrations and activities to enhance understanding and to stimulate the learner’s interest. The learner book contains a variety of exercises to enable learners to master different skills. 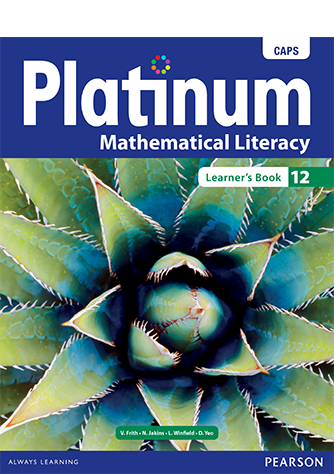 The Platinum Mathematical Literacy series has superior teacher support to save time and make teaching easy, including photocopiable worksheets.